Just over a month after a mass shooting at the Jacksonville Landing during a video game tournament, the restaurant where the shooting occurred is set to reopen, per the game bar’s social media. Chicago Pizza has been closed since the shooting on Sunday, August 26, and will resume regular business hours this Friday, October 5, 2018. 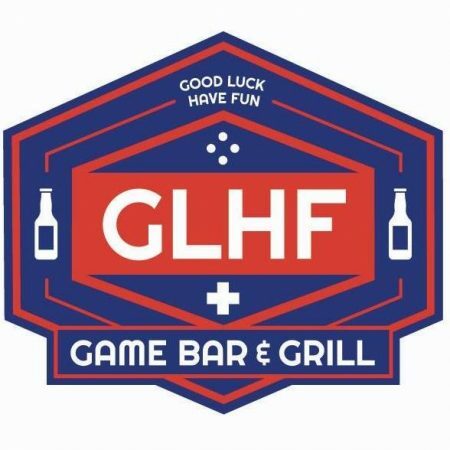 GLHF Game Bar, the video game venue inside Chicago Pizza where the shooting began, will undergo further renovations before opening later this fall. The gaming community in Jax is tight knit and has fully supported GLHF from its inception. 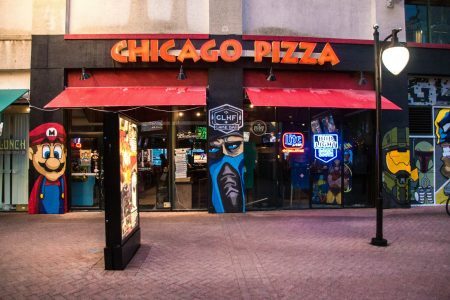 During the GLHF renovations Chicago Pizza will livestream Twitch on its TVs so local gamers have a place to gather and keep up with the national gaming scene. GLHF as we knew it was a gem in our city. We’re excited to see what the owners have in store for the future of the game bar. Hello everyone, we at GLHF Game Bar and Chicago Pizza would like to take some time to update all of you on our status in the wake of the recent tragedy on August 26th. We would like to first start off by thanking everyone who reached out to us with support during this terrible time of grief, loss, and heartbreak. The amount of support from organizations here locally and world wide have been unbelievable, and there is no way we could possibly name everyone in one post that reached out to us and offered love and support in some way. With that being said we are sincerely grateful, and the outpouring of compassion from our community has inspired us to move forward. As far as moving forward we would like to announce that Chicago Pizza will be reopening for regular business this Friday the 5th of October. Chicago Pizza will return to business as usual for dining, and we are looking forward to having all of our regulars and everyone else back. GLHF will be undergoing a revival of sorts over the coming weeks as we have decided to rebuild your favorite Game Bar from the ground up. We want to provide a beautiful, and fun environment for our entire community that has done so much for us. To do that correctly it will take time. GLHF will return because of all of you. Currently as of this Friday GLHF will still offer a gathering place for everyone in our amazing community. We will operate as your very own Esports bar here in Jacksonville, and we will still stream live gaming events that you can watch on twitch in your very own private booth. There will be much more to come on the Esports/Gaming front over the coming weeks, and we are very excited to get back to providing a hub for gaming enthusiasts all over North Florida. We will be returning to our social media outlets to update all of you on the changes coming to our business such as policies, hours, and new things we will have to offer our community as we rebuild. Please feel free to reach out to us with any of your questions or concerns as we begin to release the updates. We love and miss all of you! Tagged Alcohol Serving, Beer (Breweries and Restaurants), Casual, Dinner, downtown, Full Bar, game bar, lunch, news, Pizza Places. Bookmark the permalink.